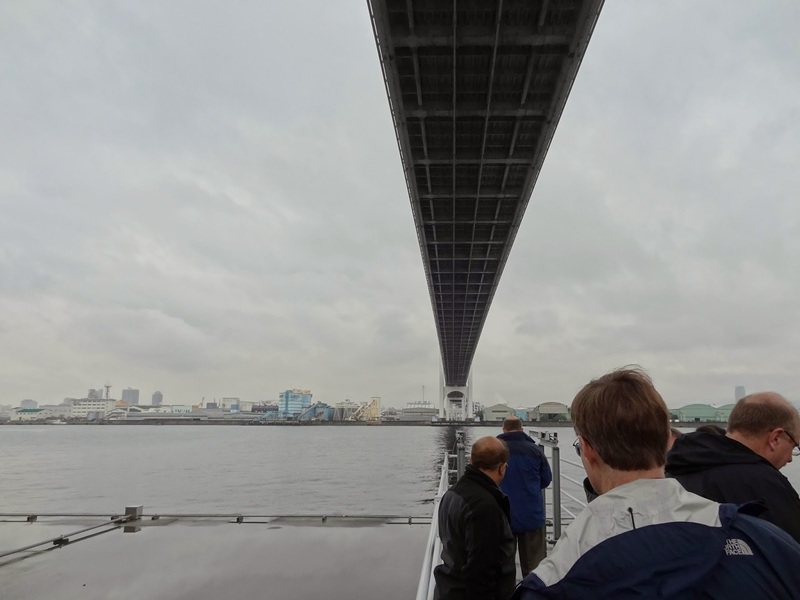 We studied the Higashi-Kobe Bridge after the 1995 Kobe earthquake and on several other visits to Japan. It's a 885m long cable-stayed bridge with a 485m long main span and with 147m tall towers. This bridge was damaged by the earthquake eight months after it opened. 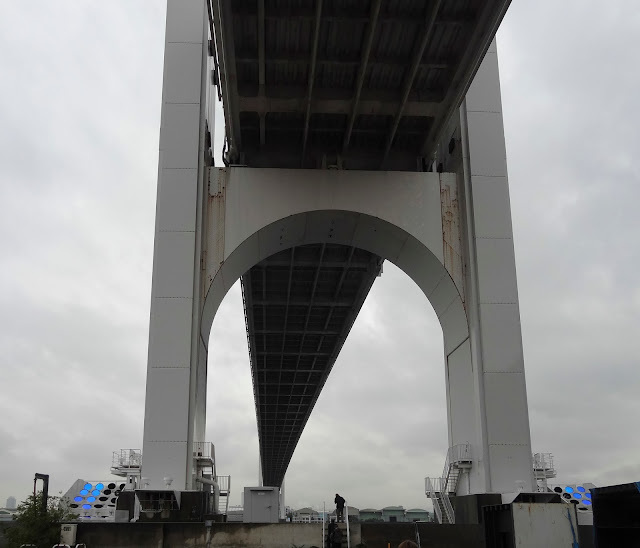 The superstructure is a double-deck Warren truss that is attached to wind dampers at the towers and to vane dampers and eyebars at the ends of the truss. All of these attachments broke during the Kobe earthquake. The bridge is part of the Wangan Expressway, which sits on artificial islands between Kobe and Osaka along Osaka Bay. Hyogo Prefecture, Japan Bridges: Higashi-Kobe Bridge by Mark Yashinsky is licensed under a Creative Commons Attribution-NonCommercial-NoDerivs 3.0 Unported License.